As a kid who didn’t grow up with it, to watch Hackers (or even a trailer for Iain Softley’s 1995 techno-thriller) is to laugh. Its aesthetic, its language, and, most of all, its rudimentary vision of cyberspace is, on the surface, wildly hilarious. If you really watch the movie, however, all that coalesces into something truly singular, a film that, even beyond its inaccuracies, really feels like a portal into a time-specific counter-culture. I like Hackers because, while being typically fantastical Hollywood stuff, it is actually relatively grounded in what hackers could do: playing with building automation systems to turn on sprinklers, hacking a mainframe, etc. Of course, it’s totally framed in psychedelic neon cyberpunk visuals, but that’s cool in itself. 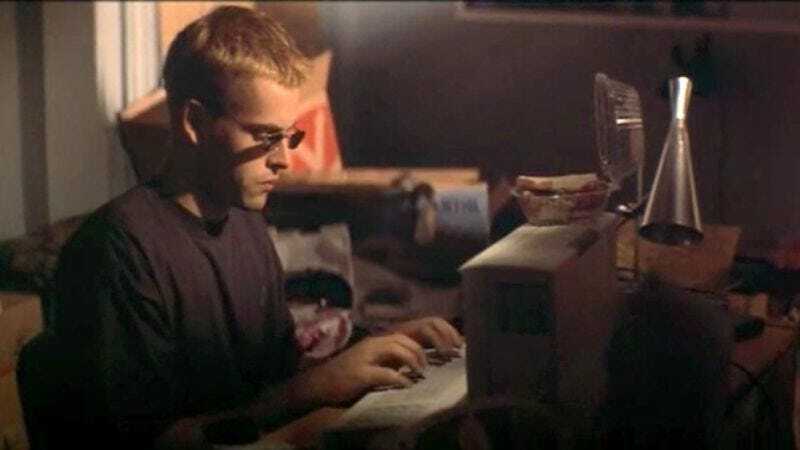 It also is one of the films that portrays hackers in a pretty good light—kids having fun, not being particularly evil, with the villain being an evil corporate turncoat white hat. Not to mention the soundtrack…bloody amazing. Their reflections are enough to make us wish we’d spent more time with the floppy disks of yore. Or at least had a friend as cool as Cereal, who you can watch do his thing below.